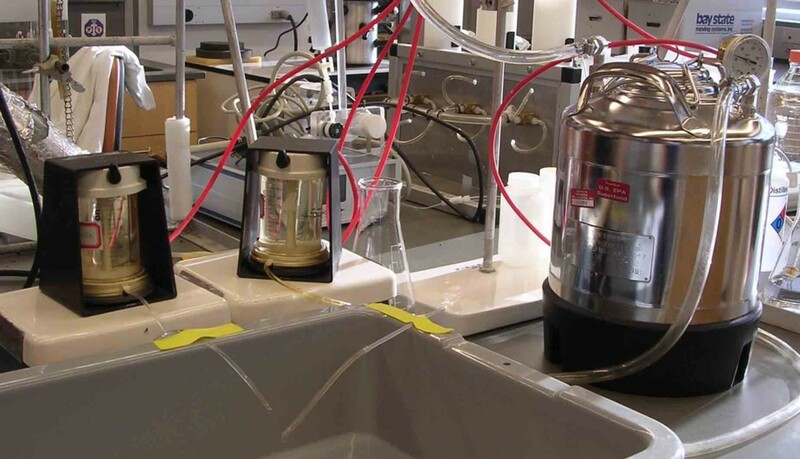 Research projects in the EVE program often make use of preparative-scale resin adsorption for isolation and purification of organic compounds in water. This is most commonly done for concentrating natural organic matter (NOM) from surface waters and drinking waters. 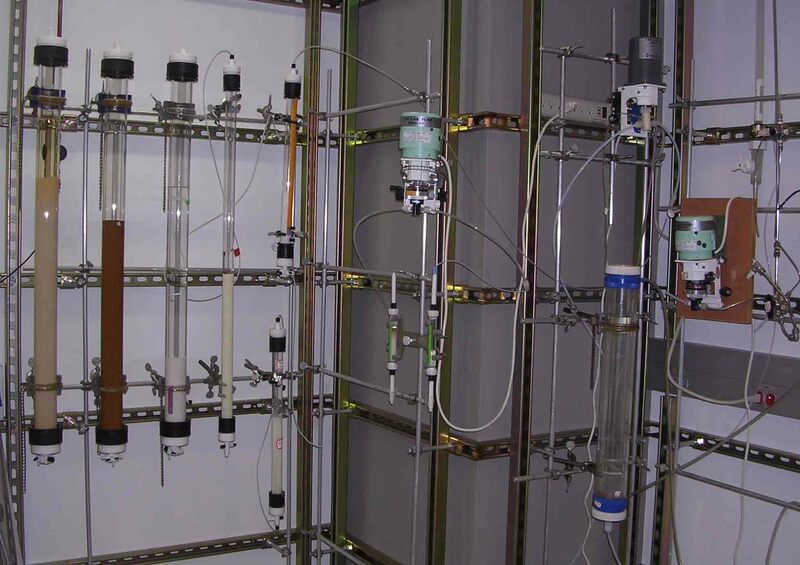 In Elab II, we have a bank of wall-mounted resin columns of sizes ranging from 10 mL to 2,000 mL. 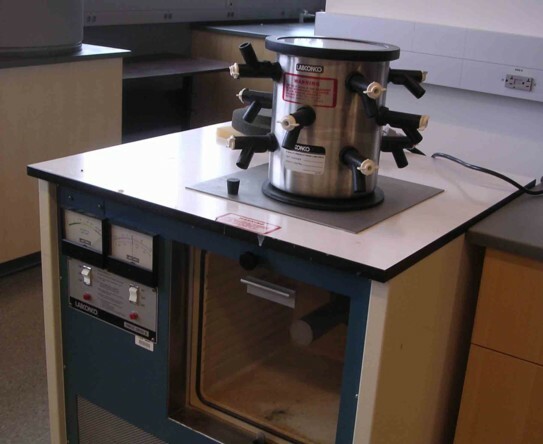 This setup also includes inert piston pumps, and monitoring equipment (e.g., on-line TOC analysis). 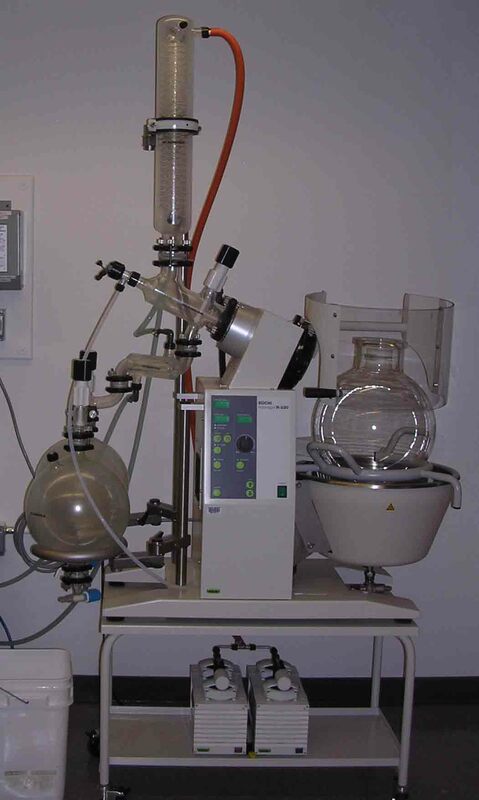 Also in the EVE laboratories are a group of rotary evaporators. 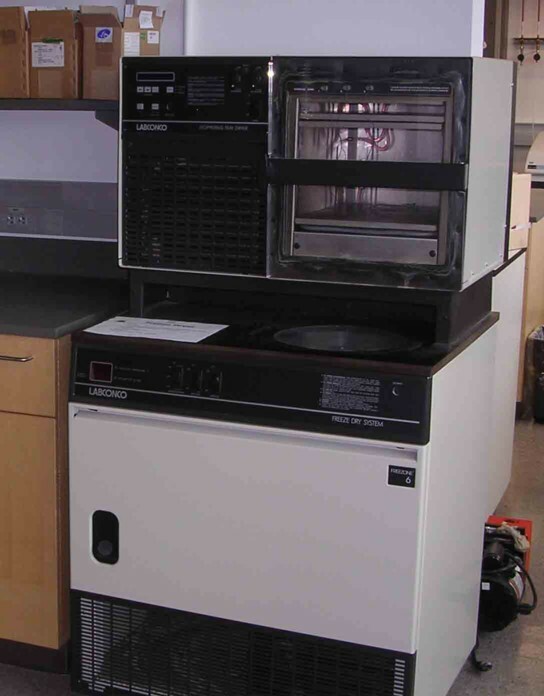 These include conventional 1 liter benchtop units as well as a 20L floor unit. The latter is a Buchi R-220. This uses a pair of oil-free PTFE diaphragm pumps to maintain a vacuum of <2 mbar. Ultrafiltration is frequently used for fractionation, concentration and characterization of natural organic matter (NOM) in water. In the EVE labs, we have several Amicon stirred UF cells, as well as 4 large volume researvoirs made of stainless steel and other inert materials. The EVE labs have large freeze dryers. One is a conventional manifold dryer and the other a tray dryer.